Nothing can stop you from what you are doing than having a toothache. This can happen even at nighttime when you are resting and even in the daytime when you are busy doing the things that you need to do. You have to stop this. If this persists your agony will prolong and you will put yourself in the midst of pain. A careful analysis of eating habit and oral hygiene should be observed in order to solve the issue concerning the teeth which is the main focus of toothache. 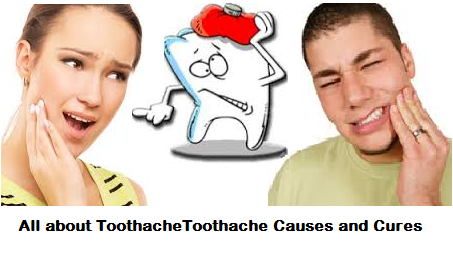 There are so many causes of toothache. And it can be traced back to what is going in the mouth that is trapped in the teeth. Cavities are the main causes of toothache. These cavities are the reasons for tooth decay that leads to other gum and teeth problems. The more cavities eradicated, the healthier the teeth are. Below are the things that you need to know and do in order to stop toothache. First and foremost, if you cannot bear the pain anymore, take a painkiller. There are over the counter medicines that includes painkiller and you have to buy one and store them in your medicine cabinet so that you can use them anytime. There are home remedies that are so common for you to do if you want to maintain healthy teeth. Brushing your teeth properly is a big deal in maintaining your teeth’s condition in fact, this should be your dogma. One great thing that you need to do is have a regular checkup of the teeth by going to your trusted dentist. If your tooth needs pulling out, this is because of its condition. Pulling out would stop the agony that is why it is advisable to pull out a tooth when needed. Well, bearing the pain is another thing.